From DOOM to Welcome To The Jungle, Scorpion King to The Mummy Returns (or should that be the other way round?) - me I can't turn a Rock-film down. Now the first full-length trailer has been fired up for next year's G.I. Joe Retaliation flick, and with some cut-throat action, built-in Rock-one-liners, Bruce Willis and a decent plot, it's already gone a few rounds on my laptop screen. With the majority of the Joes slaughtered by their own country, the payback of the survivors is going to be epic. Plus as a sign of greatness, the ninja-ladden clip has a soundtrack of Seven Nation Army by The White Stripes (also below). 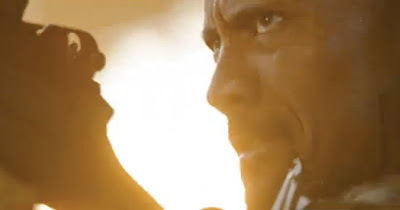 Seeing Dwayne Johnson kick tail to that Brit-beat is worth the cost of any admission. Trust me. G.I. Joe: Retaliation opens June 2012. Trailer thanks to Machinima.